Tonight will mark the second performance of Orphée et Eurydice, starring tenor William Burden as the devoted musician Orphée. 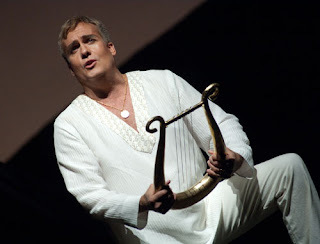 Burden is a familiar face and voice with Seattle Opera, most recently singing the role of Edgardo in last season’s Lucia di Lammermoor (a production that featured our Eurydice, Davinia Rodríguez, as Lucia in the alternate cast). Now he’s back for his debut in this role, and today we chat with him about the challenges of singing Orphée and what this powerful myth means to him. 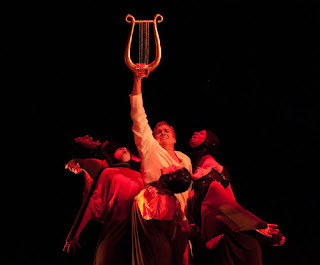 Orphée et Eurydice runs for five more performance, through March 10. For ticket information, visit our website. You and Conductor Gary Thor Wedow have previously worked on another Gluck opera, in 2007 when Seattle Opera did Iphigénie en Tauride. Why is it good to have him leading this music? First and foremost, Gary really likes singers. That’s huge for us singers, because he always comes at the work with our best interest at heart and with a deep understanding of what we do. He gets what we’re experiencing so he can be as helpful as possible. In this music, he has a wonderful ability to keep us on the straight and narrow and keep it specific and very stylistically French, and then within that framework find freedom for our individual expression. It just really makes for the best opportunity for us to do our best work. 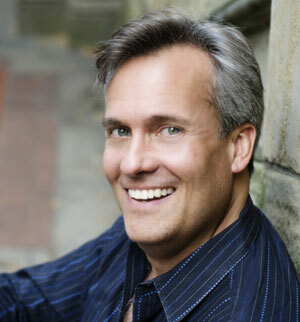 William Burden as Orphée in Seattle Opera's current production of Orphée et Eurydice. The tessitura of this role is extremely high, especially if you use modern intonation. Is that unusual in your repertory? Do you have to do anything special to prepare your voice to live up in the stratosphere for these weeks? What it requires me to do, from a technical standpoint, is to sort of change my concept of tenor singing. If I’m singing anything that is in later standard repertoire, high notes become events. In this piece, because of where it lies, that is not the case. High notes are simply part of a context of an overarching role. 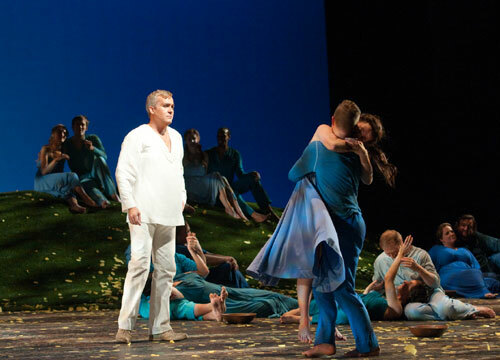 Do you have a favorite moment in Orphée et Eurydice? There are aspects of each scene I love. Orphée basically starts out on earth, on this plane of existence, and then Orphée travels into the underworld, first going into this sort of purgatory with the Furies, and once there he has to rely on his gift of music to try and make his way through all these obstacles. There are beautiful chorus moments here that I love to listen to. Throughout this piece, the chorus is an incredible character in itself. Then Orphée goes into the Elysian Fields, which is more like heaven, and the Blessed Spirits sing exquisitely beautiful music. So I have to say I truly enjoy the listening time in this. ...and with the Blessed Spirits in the Elysian Fields. Of all the tests the gods could choose, why do you think Orphée is not permitted to meet Eurydice’s gaze on the way back up from the underworld? Well, I think it’s probably because they knew it would be the hardest thing for him to do. And I think it’s not so hard for him to not look at her; the hardest thing is not being able to explain to her why he’s not. If he could just say, “Give me 15 minutes and I’ll explain it all,” but he’s not allowed to. There’s a moment we’re playing with where he almost accidentally sees her, and then says to the gods, “When is it going to be enough?” Finally, he can’t take it anymore and does turn to her. It’s very Greek—they always put the most obvious but most difficult hurdle in front of the mortals they were trying to test. Not to cop out on my answer, but I think I’m still coming to terms with that. What I’m finding most interesting is the levels of love and loss and the emotional highs and lows of that, when you lose the greatest love. The most complete sense of loss is at the end of the famous aria, “J’ai perdu mon Eurydice,” and we’ve staged it in this really wonderful way where Orphée is almost like a little kid. He just can’t see through his own tears, and he’s desperate and alone. I think opera in general has always dealt with those themes, but this opera is so specific and, consequently, universal because of it. Orphée (William Burden) mourns Eurydice (Davinia Rodríguez) in Seattle Opera's current production of Orphée et Eurydice. Initially, I was disappointed to discover this version of the Orpheus myth had a happy ending tacked on. But now I think going from one end of the emotional spectrum to the other is a wonderful thing. Yeah! It is so beautiful. I hope people get to do that. I hope people get to experience that incredible sadness and then not be disappointed by the happiness at the end. But, you know, that was the convention of the times. There’s a ridiculous word for it—“apotheosis”—and they had to have this intervention of the gods that makes everything OK in the end. In some versions of this story, his despair is so great that his music actually moves the women who hear it to literally tear him apart. But if that were to happen, he would still get to be with Eurydice, so in essence the ending is somewhat the same. The other thing I think is really curious—and I’ll be interested to hear people’s response to this—is to take it from Eurydice’s perspective. Even though she’s lost so much, once she gets to Elysium, she doesn’t remember all that. She’s in this incredibly blissful place. How hard it must be to be taken away from that! That’s why it’s so difficult for her, and hurts her so much, when Orphée won’t look at her. Not only did she leave a place where she was so content, but now he’s treating her like that? She even says at one point, “Why did I leave there so you can go afflict me?” Those are huge emotions. It’s big stuff. 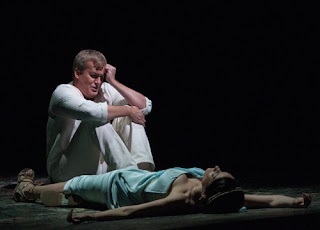 Eurydice (Davinia Rodríguez) and Orphée (William Burden) reunited. Act 1 of Orphée is mostly about expressing grief, and Orphée continues to suffer, and to tell us about it, as the opera goes on. Is there a danger of this character coming across as self-pitying? There definitely is. I think what actually stops it from becoming self-pitying is Amour coming in and basically saying, “OK, snap out of it. You have options, and now we’re going to see whether or not you’re man enough to follow through.” I think grief in itself is an incredibly selfish emotion; when someone has passed on, they’ve gone on. To something else, or to nothing else, depending on your belief system, but they’ve moved on. And grief is our sense of having lost that person. Self-pity is part and parcel of grief, and what gets you through grief is recognizing, “I’ve allowed myself to feel this way, and now I’m going to embrace that person’s life and move on myself.” Or, you can wallow in that place that eventually has nothing to do with that person you’ve lost. I think that’s probably one of the reasons this piece doesn’t get completely to the point of self-pity, because it remains about Eurydice and getting her back.